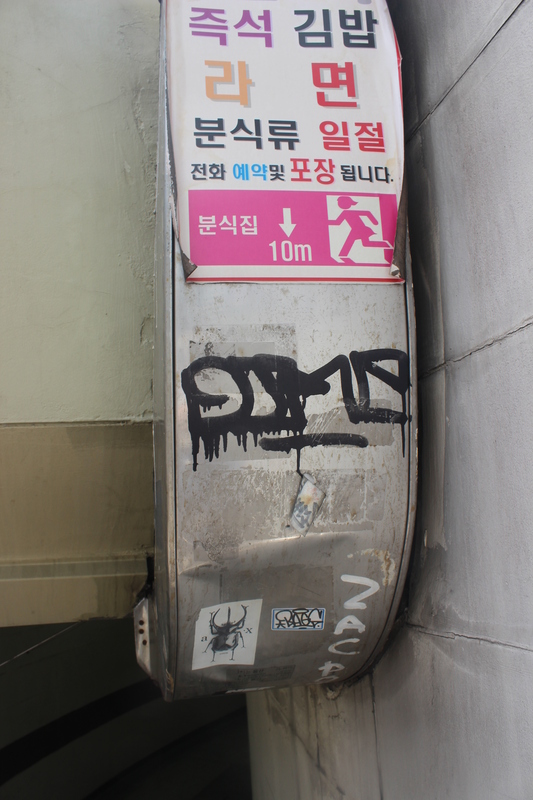 I am fascinated by Seoul’s visual culture. It seems that aspects of commercial art and spontaneous art are frequently combined in harmonious and compelling patterns. Here are a few examples. 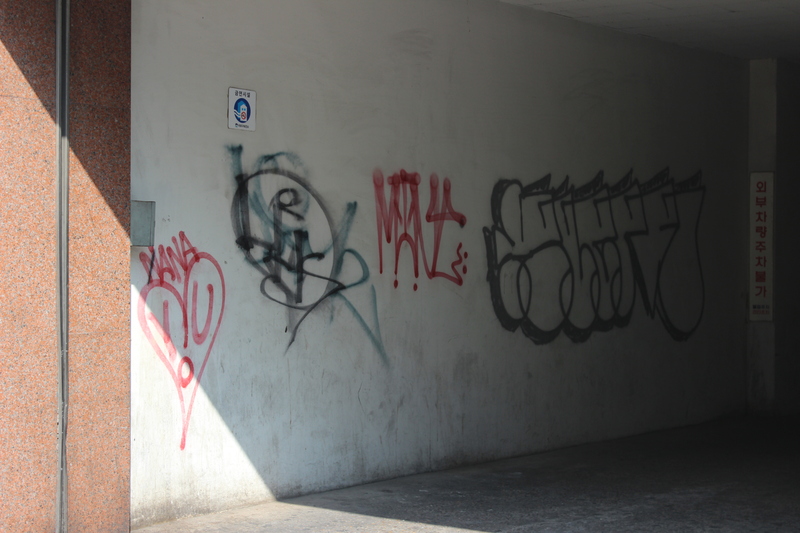 This strip of concrete above a subway entrance includes a compelling combination of commercial art, graffetti and advant garde art. 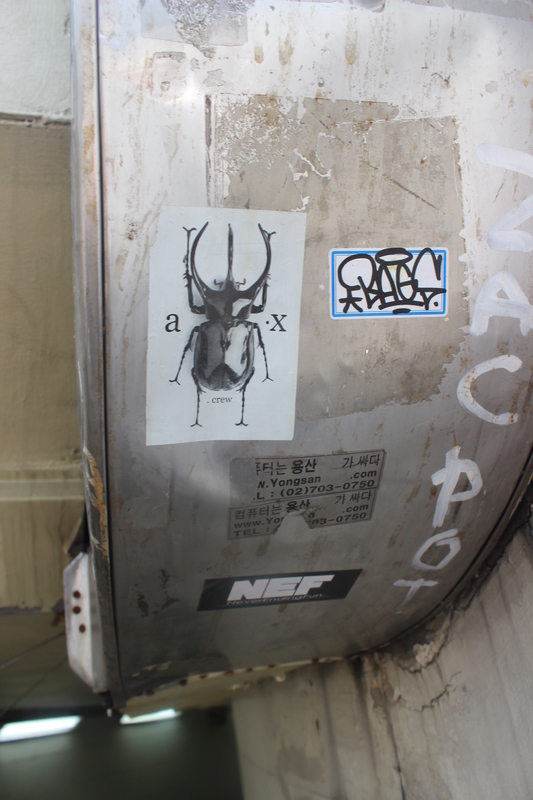 A close up of the previous strip reveals a beetle on a tiny poster and an even smaller poster entitled “NEF” (or, in even smaller print, “never ending fun”).